Perfect solution for adding audio and data connections in your computer stations and work centers! 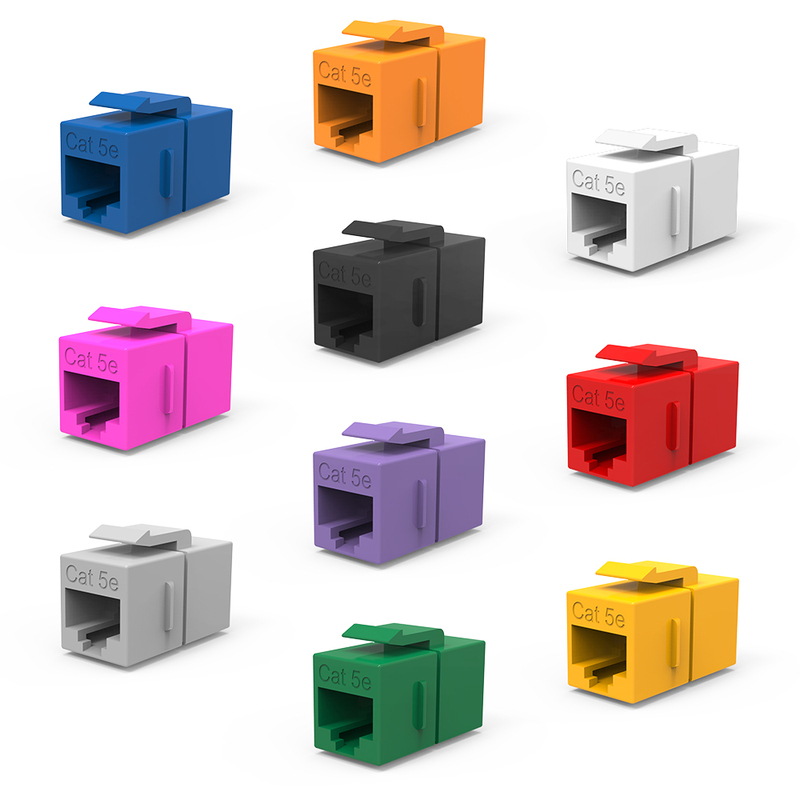 We offer a variety of colored snap-in modules that are custom configured extending your control and flexibility. 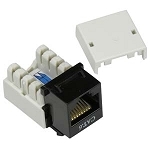 RJ45 Cat 6 have one RJ45 female connector to one RJ45 female connector and are compatible with wall plates and blank patch panels. 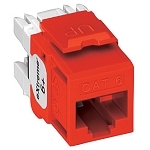 Cat6 inline couplers are to be used with Cat6 Ethernet cables. Keystone couplers are manufactured with plastic housing, straight through wiring, and durable 50 micron gold plated contacts for excellent reliability. 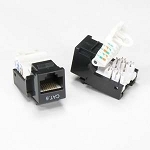 Cat6 couplers have a faster connection than Cat5E and are for use with unshielded twisted pair (UTP) Cat6 cables. In addition, Cat6 inline couplers are backward compatible with lower rated category components. Cat6 keystone inline couplers are individually packaged and available in: Black, Blue, and White. For use with Cat.6 Ethernet cables.